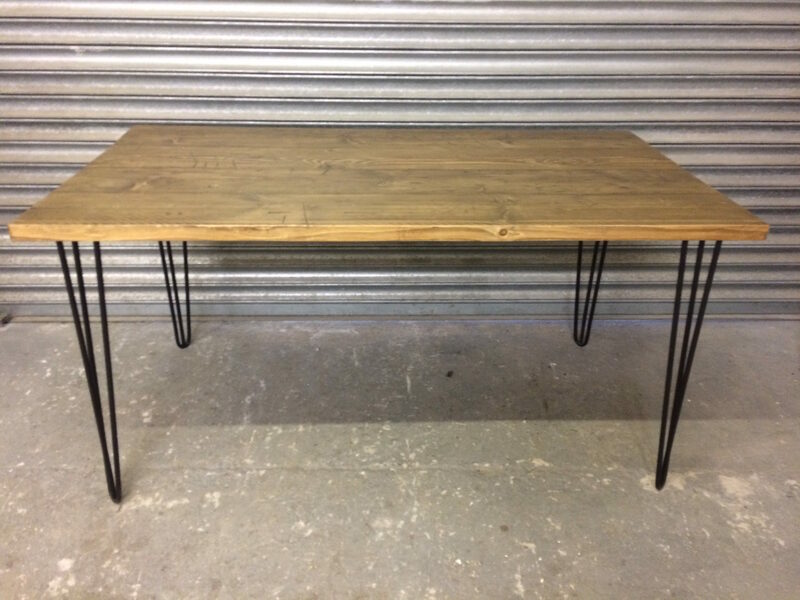 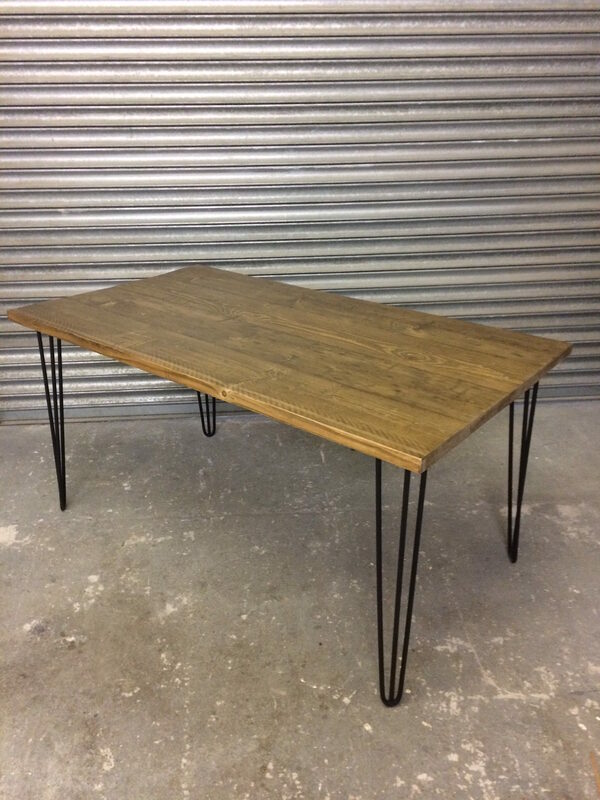 Reclaimed scaffold board table with matt black hairpin legs. 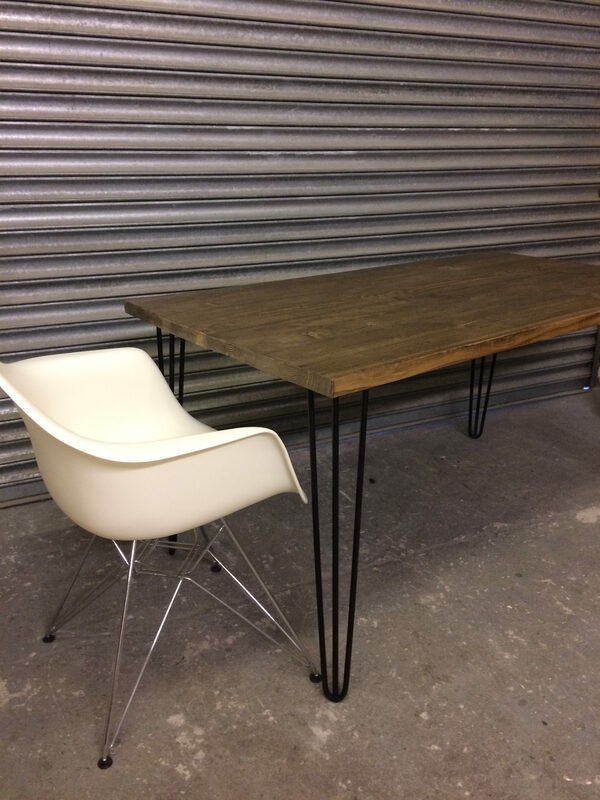 This table is 1500mm by 800mm and 750mm high. 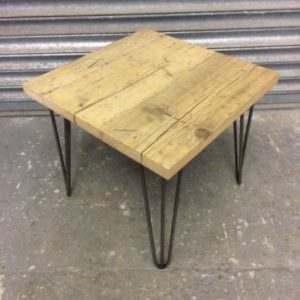 Its stained walnut colour with matt black legs but can be made any size, any colour with any colour legs. 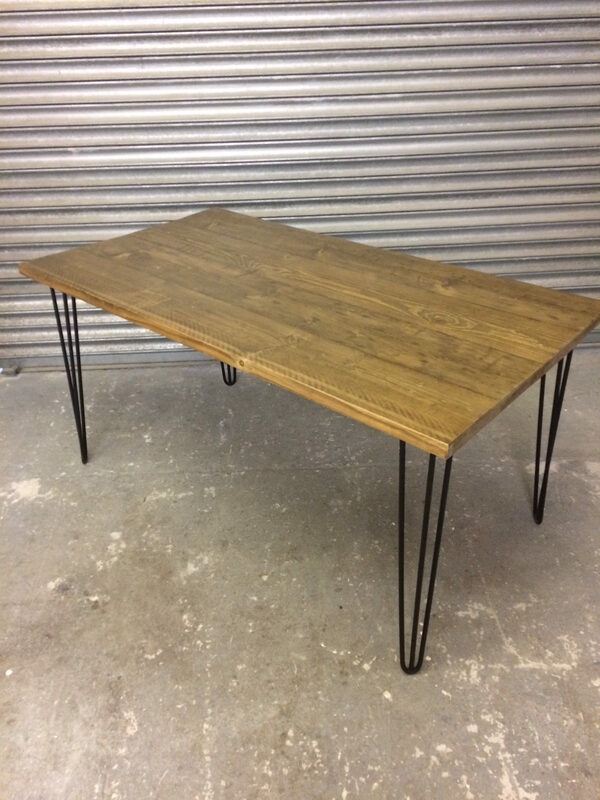 please use the contact form if you would like a quote.